This cricket was found by Marcus Watson near Canyon Lake, Arizona. 2008. Large and conspicuous crickets that have gathered numerous common names and quite a bit of legend and folklore. 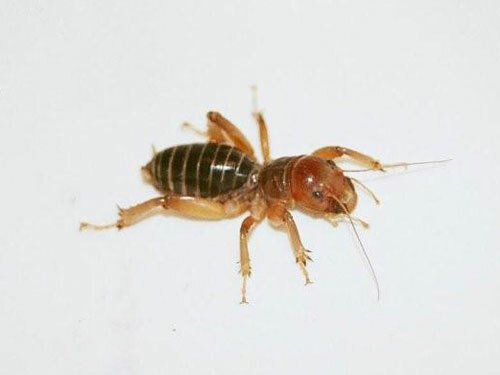 "Potato Bug" is one common name because, although these insects are largely predatory, if their usual food is scarce they will turn to various food crops. They are found under logs, rocks or other debris on the soil. There are several very similar species. Much of the Sonoran Desert is too dry for these insects. They are encountered mostly in irrigated situations or along riparian corridors.